AdventureCORPS, Inc. an athlete-run firm producing and promoting ultra-endurance and extreme sports events, lifestyle, and media, hosted the inaugural Rough Riders Rally, a multi-surface cycling festival based in Marin County on July 23-25, 2010 which celebrated the "Any Bike, Anywhere" ethos. 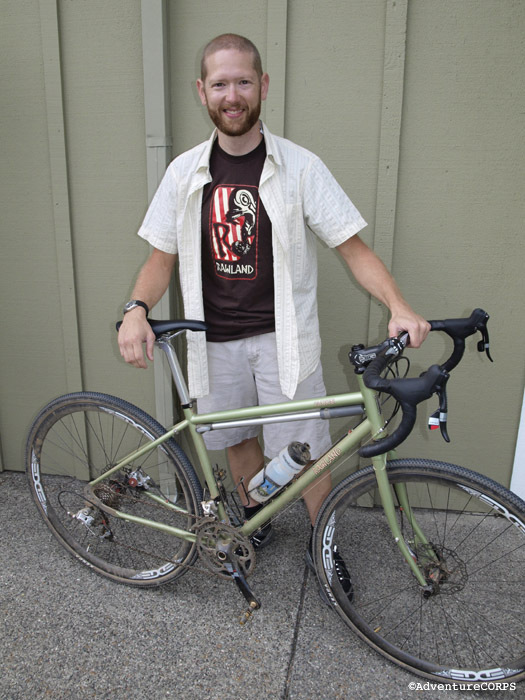 The "Best in Show" Award was awarded to Sean Virnig of Rawland Cycles for his Drakkar bicycle. The Rough Riders Rally was based in Mill Valley, CA in Marin County, the birthplace of mountain biking. Marin County offered truly superb cycling, with fantastic views of the San Francisco Bay, Alcatraz, the Marin Headlands, Mt. Tamalpais ("Mt. Tam"), Tiburon, Mill Valley, the Bay Bridge, the Golden Gate Bridge, and dramatic, rugged Northern California coastline. It was a real treat to have Sean Virnig and his wife Anna attend the Rough Riders Rally. They own and run Rawland Cycles, a three-year-old bike company based in Northfield, MN. We know that time and money are both precious commodities, so we thank them - and all the Rally attendees - for spending both to join us for the Rally. We also congratulate them as Sean's Rawland Drakkar won "Best in Show" at the Rough Riders Annual Shindig on Saturday, July 24. After a rare illness left him paralyzed for months in 1989, Sean came to appreciate the therapeutic power of cycling when it helped bring him back from the devastation of Guillain-Barre syndrome. Rawland (an English translation of his mother's Norwegian surname) was born of Sean's keen understanding of the simple, yet wondrously restorative magic of the bicycle. Anna, Sean's significant other, not only trims the sail at Rawland, but also gets the credit for conceptualizing the Olaf (and Drakkar) rear dropout. 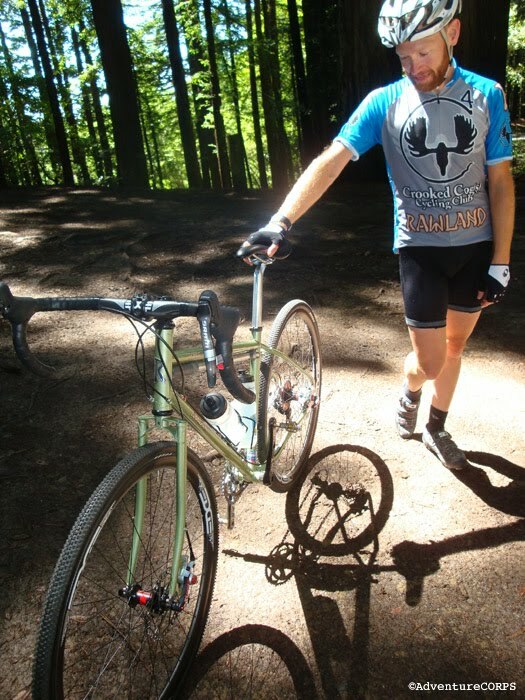 Based in Northfield, Minnesota, Rawland Cycles is some 40 miles downriver from Minneapolis-St. Paul. Northfield was settled in the 1800s by Norwegian immigrants — Viking farmers, through and through — and it's now home to Rawland Cycles, 18,000 people and two colleges: Carleton College and St. Olaf College. The three days of world-class, multi-surface cycling during the Rough Riders Rally, experienced with incredible camaraderie among the riders with their diverse types of bicycles and attire, made for an extremely memorable and pleasurable weekend for all in attendance. But I think I can state accurately that the highlight for everyone was when Sean's bicycle won Best of Show at the Annual Shindig. The bike and its designers truly deserved the praise and recognition bestowed upon them by their peers. Above: Sean and Anna with Rally organizer Chris Kostman (center). Thank you for hosting such a wonderful and memorable event. I told Anna the other day that it was like a pilgrimage for me to ride in Marin county. 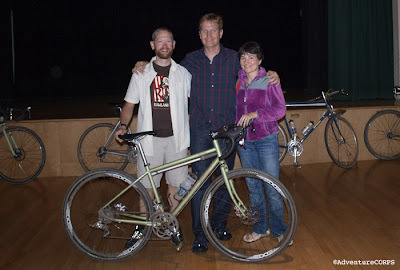 Riding all three routes and receiving the Best of Show award were affirmative for Rawland in every sense of the word. Personally, receiving the “peer-reviewed” recognition meant more than the Best of Show recognitions that were bestowed upon Rawland every time it showed at Interbike in the past three years; I simply could not conceal my excitement when I intuitively picked up the Drakkar after the announcement. That was raw emotion for Rawland, you know. Thank you very much for bringing attention to Rawland. Being Norwegian-German, I sometimes let my “healthy” ego (presumably derived from the latter) get the better of me, and I am not shy to claim that Rawland is an embodiment of cycling at its purest; it is the ride that Rawland enables. Like I said, I am still pretty much influenced by your article, hence our email conversation about a year ago. There is no doubt in my mind that all future Rawland models will be shaped by the Rough Riders philosophy as it becomes more refined in the near future. 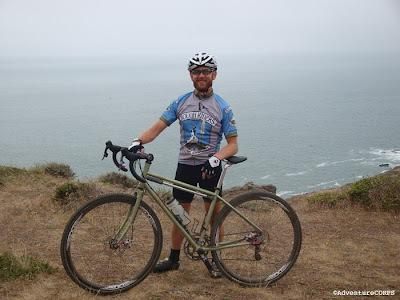 When asked more about the design features of Rawland bicycles, Sean stated "My tenet comprises of two key factors: tire clearance and rider position. Rawlands can do 58c, be it 26", 650B, or 29er. I am a tickler for wheels/tires with an effective diameter of 700mm. To illustrate, with disc, I can easily swap between 650B mountain wheels with the Pacenti Neo Moto 58c and 700c road wheels with the Rivendell Jack Brown 33c. These tires share a similar effective diameter of 700mm. There are some other advantages as well, especially with wide seatstays, fenders, the conditions in which I ride (e.g., gravel sludge, rain, etc. ), and so on. The wheelset swapping enables me to essentially have three bicycles with just one, with these wheelsets and one more for the gravel, or gravel. Moreover, this philosophy enables me to ride all these wheelsets without affecting the geometry. "And then there is Rawland's signature tall head tube. This enables one to level the saddle and the stem, which is a must in my book. Comfort is the most important factor in my opinion, and the Rawland platform guarantees this for everybody who rides a Rawland. 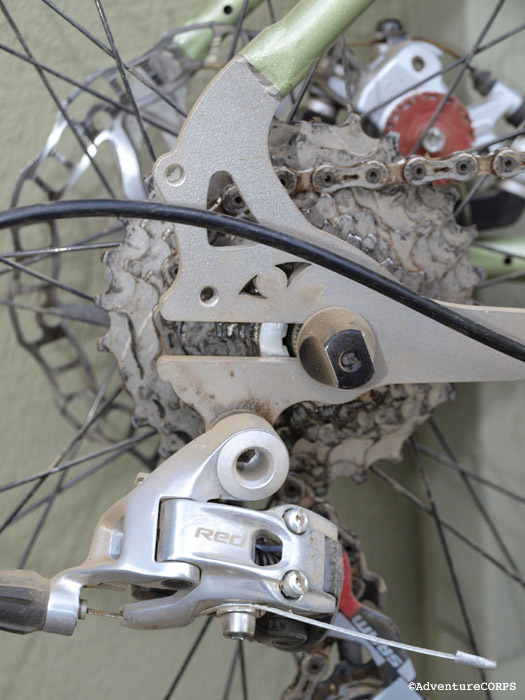 There are less headset spacers as well, which bodes well for both mechanical and aesthetic purposes. I should add that I am not keen about removable frame parts, be it dropouts, suspension parts, and whatnot. I can tell you that Rawland will never have any of that." 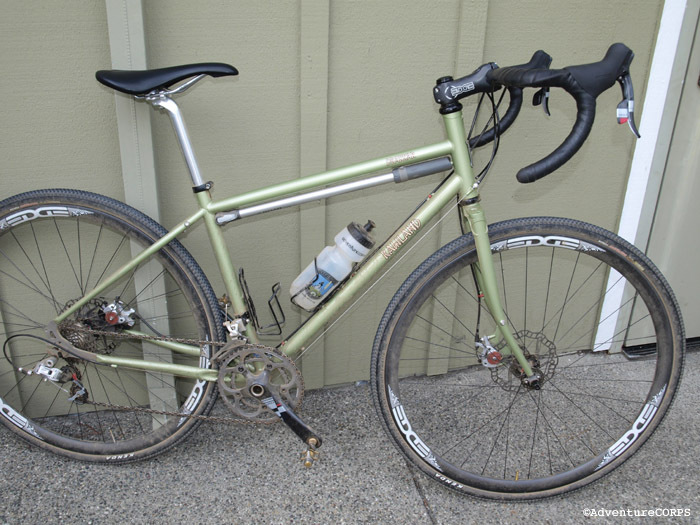 "Designed in the USA, but made in Taiwan (from the same factory as Surly, Rivendell, Jamis and more), the Rawland frames offer clean welds, classy lugwork and real-world utilitarian touches. The Drakkar sported three sets of bottle cage braze-ons as well as front and rear rack tabs. Frame and fork are disc-brake only, and rear horizontal drop-outs are bare stainless steel for either fixed, single-speed or geared set-ups. You can build this frame into almost anything you can imagine. 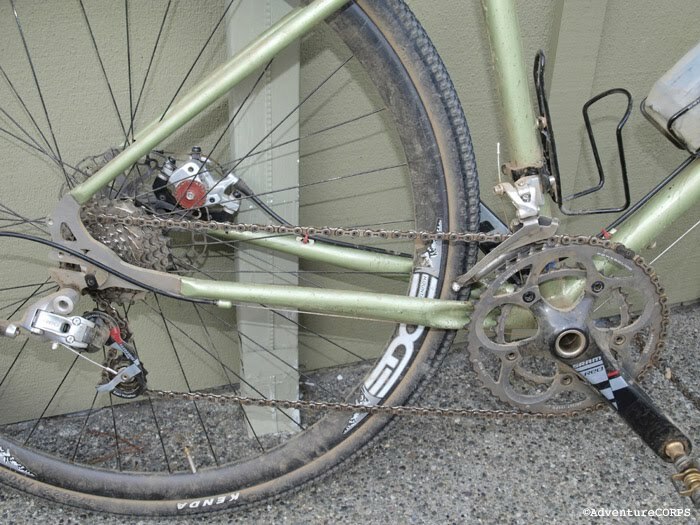 But fans of suspension should look elsewhere — the Drakkar frame is non-suspension corrected. Aesthetically, the Drakkar makes friends quick. 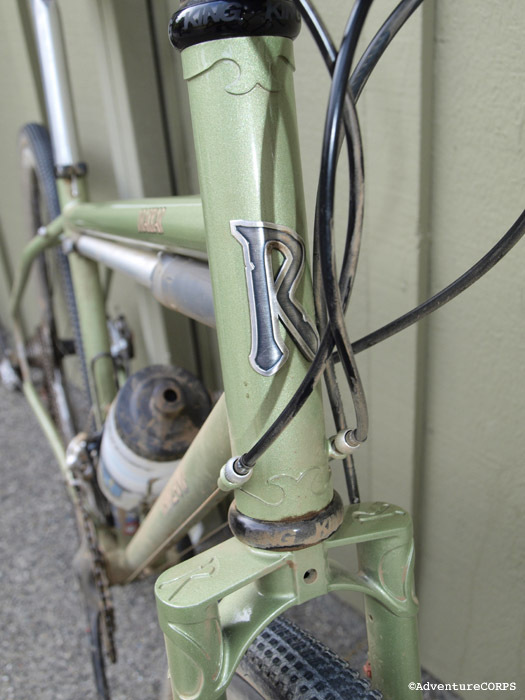 My test bike wore a silvery-green paint color that reminded me of a 1960’s Chevy. Lugwork and thoughtful touches make the bike easy on the eyes. The biplane crowned fork and sea-serpent rear drop-outs — the latter with a built-in bottle opener! — are the kind of custom details that provoke bike-envy among riding buddies. Everywhere I went, people were impressed with my fine-looking ride." The Rawland Website: Click Here. T.C. Worley's Drakkar Review: Click Here. Sean's Photos from the 2010 Rough Riders Rally: Click Here. The Unofficial Rawland Cycles Tribe page on Facebook: Click Here. Rough Riders Annual Shindig Photos: Click Here. BikeRadar.com article by Gary Boulanger about the launch of Rawland in 2007: Click Here. 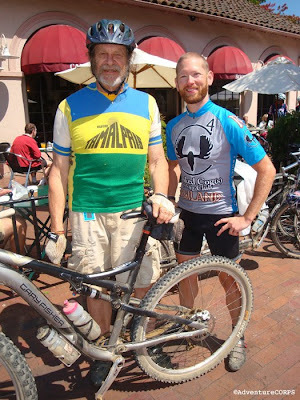 Above: Sean with his idol, Charlie Kelley, co-founder of the sport of mountain biking. Photographed Monday morning, at the conclusion of the Rough Riders Rally, at The Depot in Mill Valley, CA. 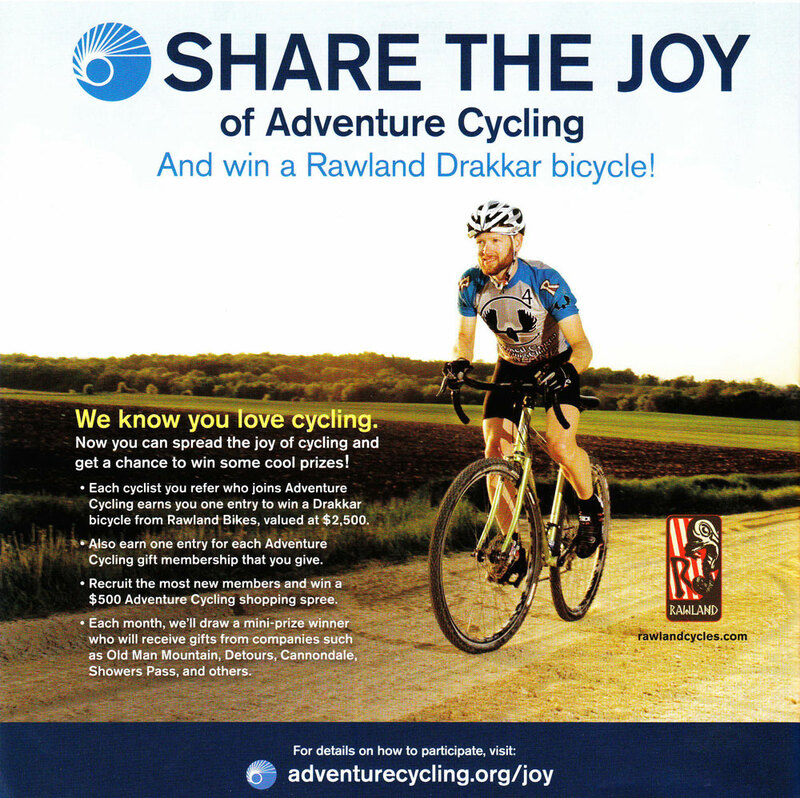 Above: Rawland Cycles is a sponsor of Adventure Cycling Association. The photo / announcement shown above appears on the back cover of the July 2010 "Cyclo Source" catalog published by Adventure Cycling. Cool bike and nice write up. Plus Charlie Kelley pic as a bonus. Nice !